How do you know if an iBuyer is right for you? How do you choose the right iBuyer? Selling a home is one of the most important financial transactions you make in a lifetime, but the experience can be painfully complex. It involves preparing your home for sale; listing and showing until you get the right offer; then you cross your fingers that the deal goes smoothly; and when it’s all said and done, you have to figure out how to move into your next home. You might sell quickly or you might not. Back in 2014, Opendooor set out to rethink the process. We didn’t expect to launch what the industry would call “The iBuyer wave”, “The iBuyer war”, and “The rise of the iBuyer”. As the headlines have gone mainstream, so has the idea of a simpler, more convenient, and more certain real estate transaction. We call it a good customer experience, everyone else calls it iBuying. An iBuyer is a company that uses technology to make an offer on your home instantly. iBuyers represent a dramatic shift in the way people are buying and selling homes, offering in many cases, a simpler, more convenient alternative to a traditional home sale. 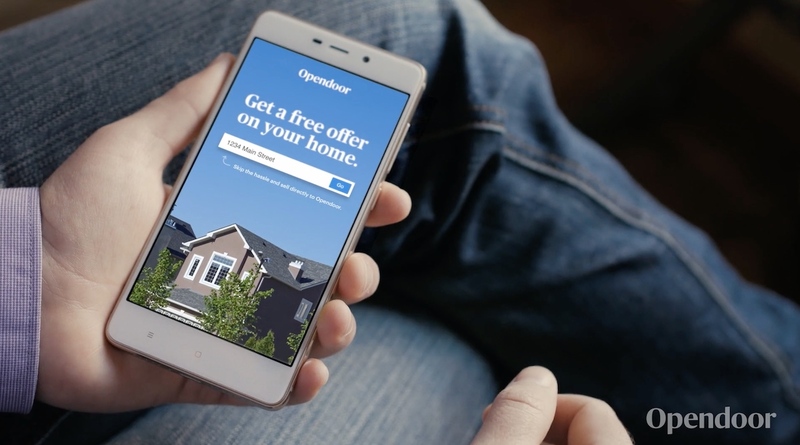 Opendoor’s video explains the difference between the ibuyer and the traditional home buying and selling process. How iBuyers operate varies, but the underlying idea is that a company estimates the value of your home and makes an offer. If you accept, they take on the burden of owning, marketing, and reselling the home. Depending on the service you choose, the benefit is the certainty of an all-cash offer and more control over when you move. The simple answer is that real estate transactions are often complex, slow, and stressful. This video from venture capital firm Andreessen Horowitz, breaks down some of the challenges of the traditional process. Couple these pain points with the speed and transparency consumers expect from today’s on-demand services, and you get conditions that are ripe for change. In less than five years, Opendoor has grown to serve over 30,000 customers across 20 markets and counting. At the heart of our mission to empower people with the freedom to move: Opendoor’s customers. And while traditional real estate companies are following us into the space, it’s a huge vote of confidence in our vision to provide the best customer experience at the lowest cost. How does the iBuyer business model work? Not all iBuyers share the same business model or offer the same services. For example, we’re often referred to as an iBuyer, but we think of ourselves as a full-service real estate company where you can buy, sell, and trade in a home. We think of ourselves as a full-service real estate company where you can buy, sell, and trade in a home. iBuyers are often confused with home flippers, yet the two business models can be very different. Home flippers want to profit from buying low and selling high. They often target distressed properties, make major renovations, and then sell at a significantly higher price. On the other hand, iBuyers typically focus on homes in good condition. They aim to make an offer in line with what a reasonable buyer would pay, commonly referred to as fair market value. In most cases, they’ll conduct minimal repairs to ensure the safety and functionality of the home before finding the next buyer. Your next question is probably, “Okay, but how is an iBuyer going to give me a competitive offer, then turn around and sell my home at a competitive price… and stay in business?” Glad you asked! While each iBuyer has a different approach to this question, our business model is fee-based. We want to pay a fair market price and charge a service fee similar to the agent commissions in a traditional sale. Our fee averages between 6-7% across our markets, but it can be lower or higher based on how long we estimate it will take to sell your home. The service we provide is a simpler sale: you get the certainty of a competitive offer, you can avoid months of showings, and you control when you move. You may have heard the term “automated valuation model” (or AVM). This refers to proprietary software that iBuyers use to quickly process a lot of data about a home and arrive at an offer price. Traditionally, home values are calculated by looking at a handful of similar homes nearby that have sold recently. In the real estate world, this process is often called a Comparative Market Analysis (CMA). The problem is that no two homes are exactly the same so you need to make adjustments for all of the different features. It is extremely hard to make adjustments accurately, but it turns out computers are really good at this task. They can analyze the individual features of hundreds of comps, and they can do it almost instantly. When we calculate your home value, we combine the data from our valuation model with information home sellers upload about their home. We also have local pricing experts on the ground; think of it as the best of both worlds. Because you can buy and sell a home directly with an iBuyer, many people assume they are trying to replace all real estate agents. 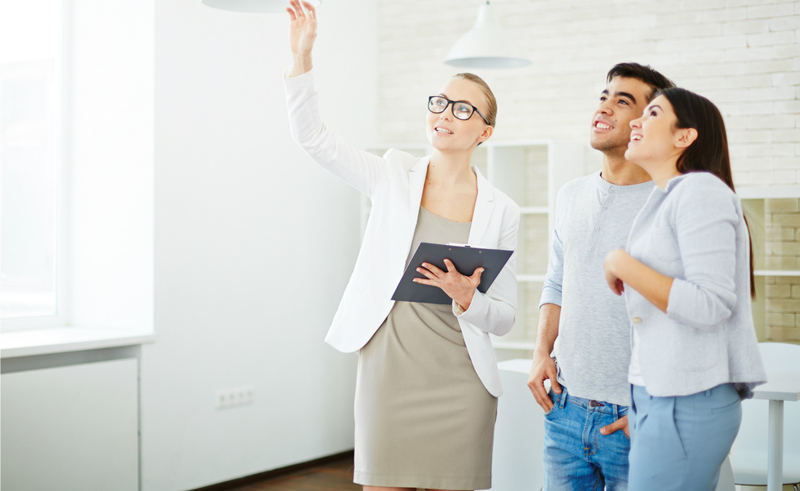 For many iBuyers, working with agents is an important part of their business. According to a 2018 NAR survey, 87% of people chose to buy their home with an agent. Every company works with agents differently. We pay the commission to agents representing a buyer, and we also buy from sellers who are represented by an agent. When a licensed real estate agent refers a direct seller to us, we pay a 1% referral, enabling agents to maximize their proceeds. Last year, we paid tens of millions of dollars in agent commissions. If you’re an agent, learn more about working with us. Most Americans can’t qualify for two mortgages at the same time, forcing them to sell their home before they buy the next one. This is notoriously hard to do without incurring housing overlap costs. Also, if your dream home pops up before you’ve sold, then you might miss out, or at the very least, you’ll need to rush the current sale along (that’s not fun). The idea of trading-in is more familiar when buying a car, but it can just as easily apply to buying a house—you take the value of your existing home and apply it to your next purchase. Because iBuyers are buying and selling homes every day, their business model is well suited to support trade-ins. The goal of an iBuyer is to help you sell your home in a simpler, more convenient, and less stressful way. 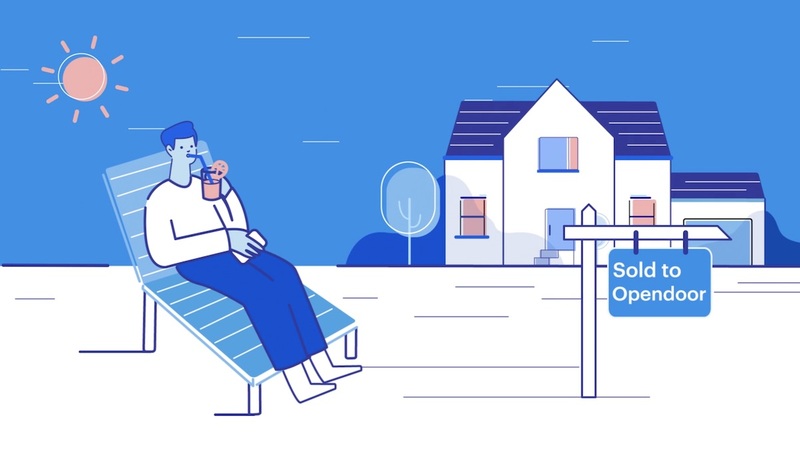 Currently, you can buy and sell a home at the same time with Opendoor. We’ll align your timelines so you don’t have to move twice (or into your in-laws basement or hotel) and we’ll also give you complimentary 3-day Late checkout if you buy and sell with us. And if you’re looking for a new home build, we also have over 50 trade-in partnerships with the top national home builders. Selling to an iBuyer: what is the process? The process varies based on the company you choose, but the goal is often the same: to help you sell your home in a simpler, more convenient, and less stressful way. Request an offer. It’s free to request an offer, and there’s no obligation to accept. If your home meets our criteria, we respond with a competitive, all cash offer on your home in 48 hours. Take some time to think about it.Your offer is valid for 5 days. It breaks down your home value; our transaction fee and closing costs; and, of course, your estimated net proceeds—the money you pocket. You accept the offer and schedule a free home assessment. We send one of our estimators to inspect your home for any repairs. If repairs are needed, we can handle the work after you move out and deduct the cost from the sale price. Or, you can make the fixes on your own. Learn more about how we handle the home assessment and repairs. Choose a closing date and move when you’re ready. Once repairs are resolved, you choose the date you want to close. Here’s more on the closing process for sellers. You can move out in 10 days or 60 days, it’s up to you. After you close, you get paid in a matter of days and move on to the next big thing—like finding your next home. Learn more about how Opendoor works. You can also buy and sell at the same time. There are a lot of reasons to sell a home. The “right decision” is a function of what you value most in a transaction. For example, you may prefer convenience over maximum offer price or vice versa. Net proceeds: how much do you want to pocket? Your net proceeds are the amount of money you receive for your home minus the costs of selling. When thinking about what it costs to sell a home, many people fixate on the standard 4-6% real estate agent commissions. When you factor in additional costs that are common in most sales like repairs, closing costs, and relocating costs, your total expenses can come closer to 10% of the home’s sale price. Use our home selling cost calculator to estimate what your net proceeds will be. When selling to an iBuyer like Opendoor, the transaction fee varies based on trends in your market and the circumstances of your home. In some cases, you may have higher net proceeds with an iBuyer, and in others, you may compromise between price and other factors like timeline and convenience. Either way, you can request an offer from us at anytime; it’s free and there’s no obligation to accept. Timeline: when do you need to move? When you sell can be just as important as how much you sell for. Maybe you accepted a new job and you start next month, or maybe you’ve found a great home but you can’t move in for several months. Often, the costs of a double mortgage, renting during a transition period, or just maintaining your existing home can exceed the value of holding out for a higher offer. The average time it took for homes to sell (also called days on market) in Spring 2018 was 60 days as Forbes reported. In a traditional sale, the timeline is essentially an agreement between the buyer and seller. 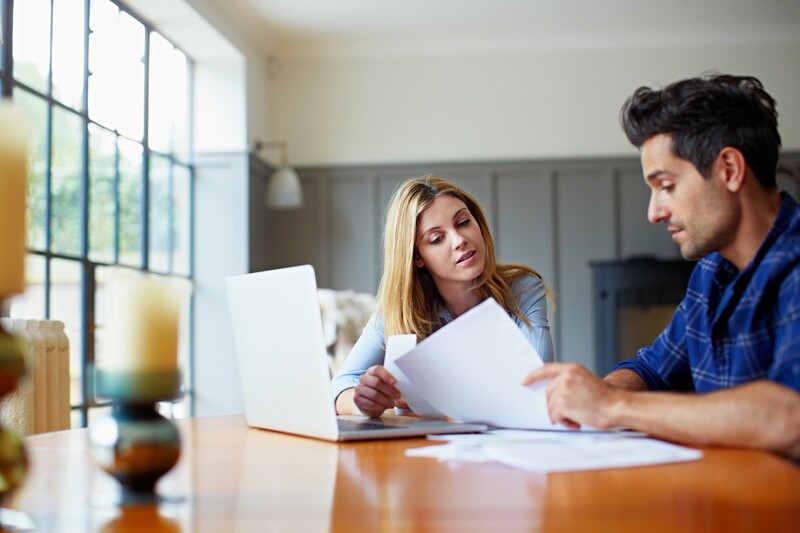 You might need to wait for a buyer to qualify for financing or you may have to accommodate a more inconvenient timeline as a concession to the buyer. This is an area where iBuyers offer a lot of value because they can provide more flexibility on when you close. When selling to Opendoor, you receive an offer within 48 hours and close within 10 days or 60 days, you choose. Certainty: what if it doesn’t go as you planned? In our conversations with customers, it’s clear that much of the stress of selling stems from uncertainty ie not knowing when you’ll find a buyer, if the offer will make it to close, or if there will be any surprises along the way. The traditional process doesn’t always allow that level of transparency because of the challenges of connecting with a buyer directly. When you accept an offer from Opendoor, you get a break down of your costs and net proceeds, you control the timeline, and you don’t have to worry about financing fall-through. This affords you more certainty so you can focus on the next big thing, like finding a home you love. Convenience: how much do you value peace of mind? Selling a home can be a lot of work eg months of showings, repairs and maintenance, and of course, navigating the sale itself. Think about your investment of time and energy as an opportunity cost—what would you do if you weren’t focused on selling your home? iBuyers can offer a simpler experience, allowing you to sell your home without listing on the market. For example, when you sell to Opendoor, we streamline each step of the process, from requesting an offer, to handling any repairs, to closing. We also pair you with a dedicated home advisor so you have someone to assist you through each step. 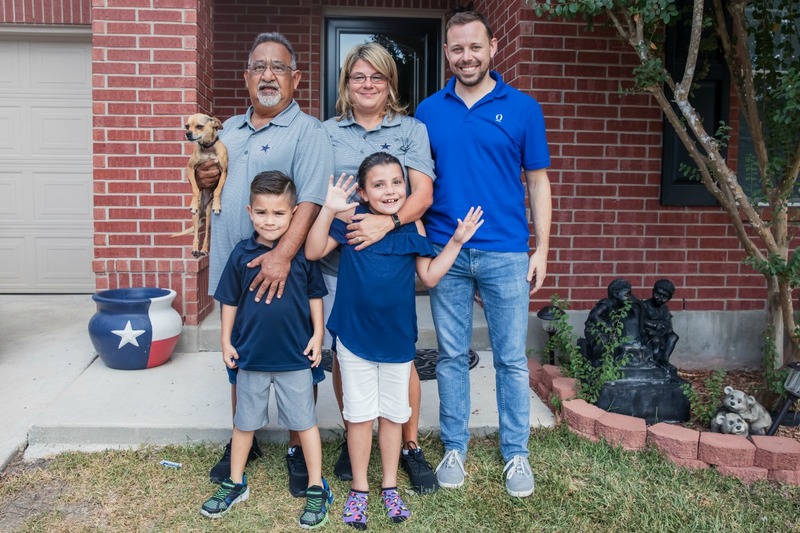 Happy Opendoor customers: the Rodriguez family from San Antonio, TX, with OD’s General Manager Chris Westrom. Every week it seems there’s a new company offering iBuying services, each with a different business model. When starting your research, you’ll want to first explore the cities where an iBuyer operates, and the types of homes they buy. This varies widely. Next, it’s important to understand their business model and how they make money. You want to be sure the company you work with has an incentive to offer a competitive price and is transparent about their fees. Experience: How many customers has the company served? How long have they been operating? Reviews: Do they have balanced reviews? You can’t expect everyone to have a perfect experience, but it’s reassuring to see positive stories that relate to your situation. 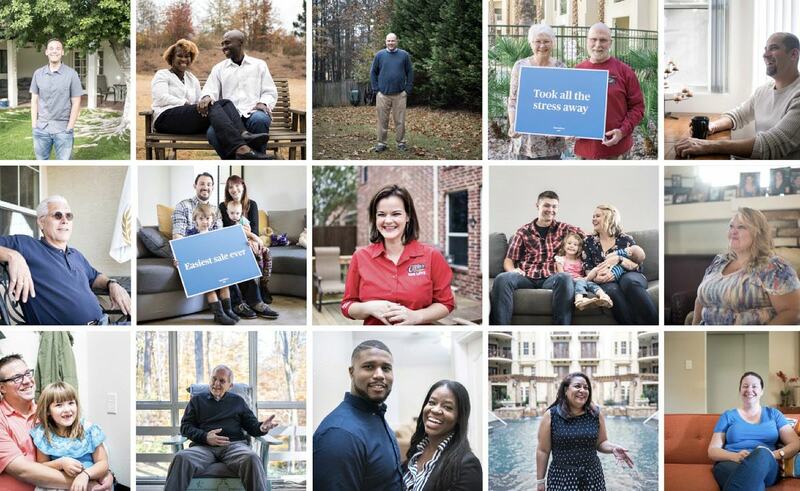 Comprehensive services: Can they help you address multiple needs? For example, maybe you need help handling repairs before selling or maybe you want to trade-in. Value: Does the proposition help you achieve your goals? Sometimes it’s that simple. See how we stack up to our competitors and read about what our customers have to say. iBuyers use technology to quickly make an offer on your home. If you accept, they assume the risk and holding costs of finding a buyer so you can have a simpler, more convenient, and more certain sale. This represents a dramatic shift in the way people are buying and selling homes, offering an alternative to the pain points of the traditional process. iBuyers have different business models and offer varying services. You can think of Opendoor as a full-service real estate company, allowing you to buy, sell, and trade in a home. When selling to us, we collect a transaction fee similar to the agent commissions in a traditional sale. This differs from a home flipper that relies on a buy-low, sell-high investment strategy. Determining whether you should sell to an iBuyer vs listing your home with an agent is a function of your individual needs. Consider how much you value your net proceeds, the timeline of the sale, and the certainty and convenience of the experience itself. → What are the most common misconceptions about Opendoor?